Ants are especially useful in the garden. They aerate the soil and loosen it up which helps to bring oxygen to plant roots. They bring a lot of organic material to their nests which provide nutrients to soil. They also help plant propagation by carrying seeds from location to location. All of that is well and good. But nobody wants to see ants scurrying around in their homes. Most people also don’t want to use poisonous chemicals in their homes that might hurt everyone in their family. 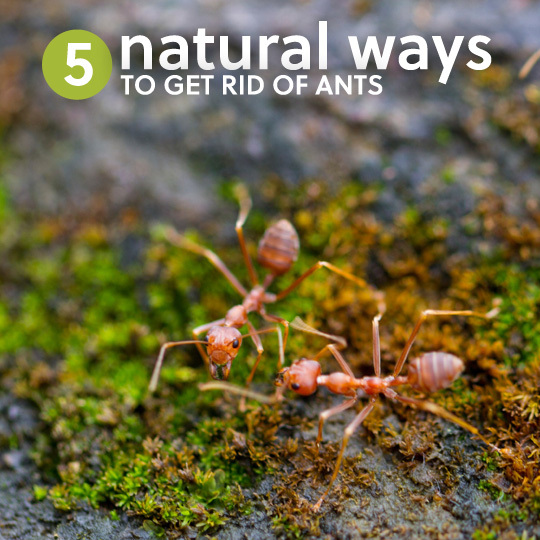 So in this article, Claire shares 5 natural ways to get rid of ants without killing them. She also has some great tips at the end of the post. Claire does share one non-toxic way to kill ants, which may be necessary if you have fire ants, for example. Click on the 5 Ways to Get Rid of Ants Naturally Without Killing Them link below to see Claire’s complete post. Also Claire has written the Everyday Roots Book. It includes 215+ original home remedies that will help you to replace toxic medications and products with healthier, natural alternatives. It’s really a quality, well-written book. Tons of easy-to-follow natural remedies and recipes. It’s one of my go-to resources for natural remedies.